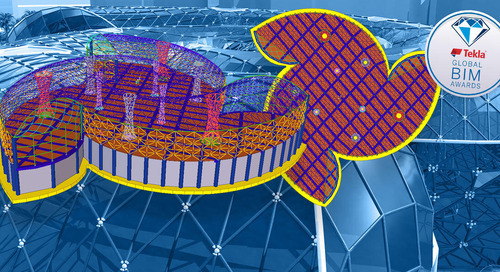 Thirty-five experts from Unger Steel Group utilized Tekla’s BIM software in a very advanced way to plan, produce and assemble the diamond trusses of the partially transparent, architecturally stunning roof of the new Vienna Central Railway Station. Now when the first trains have arrived to the station and passengers see the first glimpse of the city through the roof, Unger sees both Tekla and the robotic survey device Trimble Total Station necessary for the creation of complex, hard to assemble structure. The new Vienna Central Railway Station is a major European traffic hub – when completed, about 145,000 passengers and 1,000 trains will pass through the station every day – and development project with attached shopping mall, residential buildings and park. Unger Steel Group had to work with precision on crowded site and take the other project parties into account. Unger’s contract, the roof which covers the tracks, offered the company some challenge with the complex geometry of the 14 unique diamond-shaped steel trusses. The company has used Tekla software since 2001 when Tekla reseller Construsoft provided them with training and consultation, and for the station project, it was a clear choice from the first minute. What is in the model? 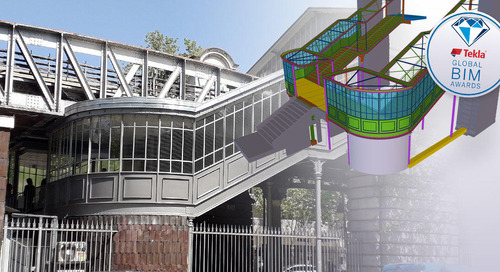 For the Vienna Central Station project, Tekla served Unger for numerous purposes: The company created constructible steel structures, modeled and detailed the main structure and substructures like cable channels, and extracted data and drawings for production and assembly, simulated welding sequences of the complex components. Up to ten designers worked on the model in multi-user mode. Unger Steel Group’s team imported the architects’ model as 3D DWG files to Tekla Structures for designing and detailing the diamond trusses. As numerous project parties operated on the huge construction site, Unger included also platforms with rails and concrete foundations to the model in order to notice and solve possible clashes already in the design phase. "Due to the complexity of the geometry and very tight schedule, construction with 2D plans would not have been possible." At Unger BIM does not stop to the design office door. The company configures each new version of Tekla Structures according to their standards, which enables them to plan specifically for their cutting and production machines. For the Vienna Central Station, they created all transport lists and surveys directly from the model in Tekla and used it to control production and assembly sequence. In general, the company uses Tekla in tendering as they wish to produce informed estimations for bidding. Even the salespersons are familiar with Tekla BIMsight. For production at Unger’s workshop, the required data transfers directly from design office to DSTV and interfaces with the cutting machines in workshop. The process provides Unger with advantage: production can start immediately after completion of planning, and transferring fabrication information automatically to production machinery allows them to avoid errors. Unger chose Tekla for planning transportation lists because they had to work punctually, timing and having the right material at the right place being crucial. . Unger’s team had to assemble the complex diamond trusses in a very limited space which also contributed to the logistical challenges. The individual pieces arrived to the site just before the staff bolted them together. The site staff was already assembling the first diamonds on Vienna Central Station while workshop team produced the remaining ones, the entire process from cutting one truss to its final assembly taking on average 3.5 months. For assembling the diamond trusses, Unger Steel decided to use Trimble Total Station with Tekla for the first time. Unger assembled the roof components while these hung from a crane, and the team needed exact position information for lifting and fitting the components correctly at 15 meters above the platforms. They utilized the combination of Tekla and Trimble in a preassembly workshop to measure the components after welding to spot possible manufacturing tolerances before assembly, and later to control the position of the structure and put the parts together. 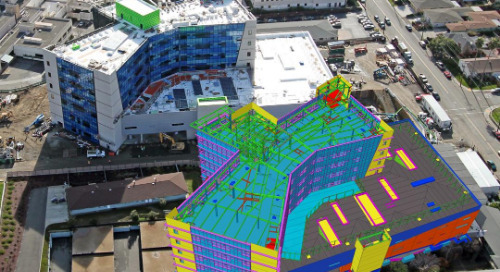 The workflow of positioning the roof parts proceeded in rounds: Unger’s team measured the structure with Trimble Total Station, imported the data to Tekla Structures, adjusted it, and exported the modified data back to Total Station for positioning. "So far we have used Trimble Total Station with Tekla in just two projects, but in future we will do it in all complex projects." As any inaccuracies would have affected the composition, the Unger team performed control measurements continuously in case the components would carry tolerances from fabrication or transport. 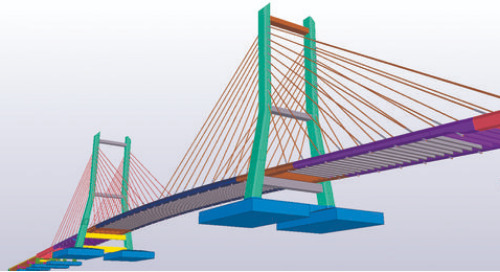 On the connection points of the diamond trusses, the team measured the structure, downloaded the measurements into the Tekla model and after this planned and manufactured the connection parts. On site, they also marked building axes with Trimble Total Station. 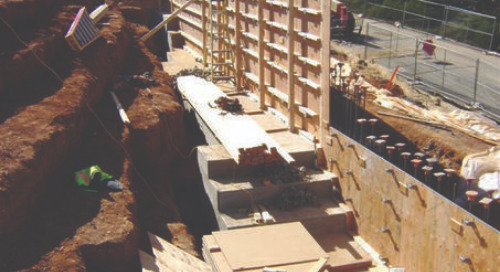 Smooth workflow between office and site is the goal of every construction company, and according to Unger’s experience, Trimble and Tekla together take their customers closer to this goal. BIM and automated data transfer accelerated the project. With Trimble Total Station, Unger’s own staff could measure the structures to save on expenses of external surveyors. 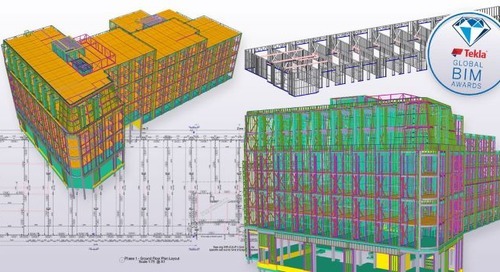 And as they transferred the measurements of the built structure directly to Tekla, they saved time and labor because they did not have enter the measuring data manually. Tekla eased the logistical challenge with automatically generated transport lists and aid in controlling production and assembly sequence. 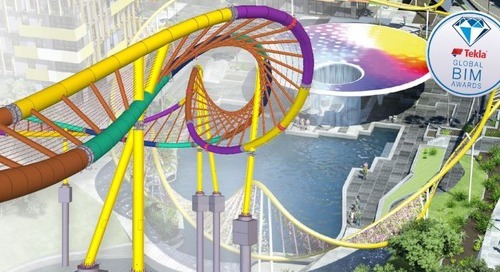 "Benefits of Tekla? We had the necessary information centralized to the model and available for sharing, production, installation and billing - quickly and with the right quality." For collaboration with project parties like architects and structural engineers, Unger chose Tekla BIMsight. The main benefit Unger experienced with their choice was that each project party had the building information model available and could work together - including production and installation teams on site. Unger also utilized Tekla BIMsight for approval process in the planning phase. Unger Steel Group produced the roof with 14 diamond-shaped trusses, which are 76 meters long and situated 15 meters above platform level. 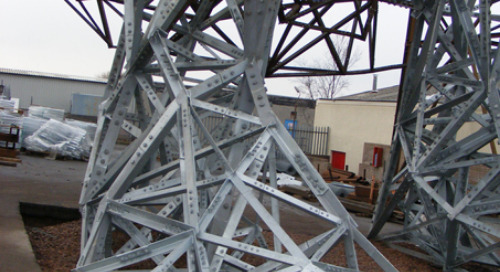 Each truss is a unique masterpiece with one-of-a-kind appearance. 5,000 tons of processed steel with area of 40,000m². 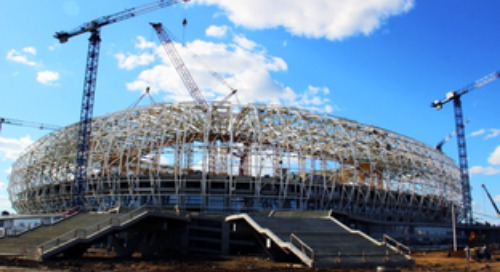 The roof includes 254,000 screws, 54,100 frames and 271,100 metal sheets. Unger created 52,700 individual and 22,200 welded components. The roof has no horizontally arranged components. Unger started work in 2010, the first trains arrived in late 2012 and the station was fully operational in 2015.